The Amazing EBow :: FAQ - Will the EBow play more than one string at time? No. But neither does a pick. 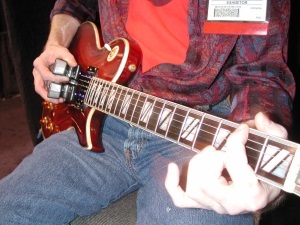 One of the coolest effects is the EBow arpeggio.